I have been watching a bunch of the new premier episodes of new shows this season in hopes of finding some good shows to watch. In this blog I will recap those shows and tell you which ones to check out and which ones to pass on. This is a new comedy staring Andy Samberg. It is sort of a silly comedy in the setting of a police detective show. I was skeptical about this combination but so far the characters are likeable enough that I have stuck with it for the following episodes. I particularly like the relationship between the Charles and Rosa (2nd and 3rd from right in picture). This is a new drama about a group of everyday folks who get lucky and win the lottery as a group. Of course with more money comes more problems. The characters in this show are kind of cliche, but the acting is good and whenever there is a lot of money involved there is going to be a lot of drama. So far so good. Update: Lucky 7 was canceled unfortunately. Too bad, it was one of the better shows this season. This was another one I was skeptical about. It is basically the same as Master Chef only with kids instead of adults. I thought there were enough Chef Ramsay shows, but apparently not. This one follows the same format of the original series, but the kids bring a new life to it with their energy and spontaneous nature. I'm watching this one when I get a chance. I'm a fan of Rebel Wilson so when I heard she was going to have her own show, I was pretty excited. I checked this one out and honestly I was a little disappointed. The main thing that threw me off was Rebel doing an American accent. I'm so used to her with the Australian accent that my brain couldn't compute her talking with an American accent. The first episode was just ok in my opinion. I might give it one more episode. Update: still not the best show out there, but it is getting a little better as the season goes along. I just happened to watch this by chance and it was not too bad. It reminds me a lot of Modern Family in the fact that it is a comedy revolving around a large unorthodox family. The little kid in the show is the star if you ask me. Might watch this one if there is nothing else on. Update: Moving this show to the Hits. After seeing several episodes, it is one of the best comedies of the season! I'm a fan of Michael J Fox so of course I had to check out his new show. MJF plays a retired news anchor who decides to go back to work. After watching the first episode, it just didn't grab me. I probably will not stick with it unfortunately. There was a lot of promotion for this show and it did look pretty good. They have some big names in the cast and an ambitions story line about a family held hostage unless the mom kills the president. My problem with this is that the characters seem so cookie cutter. 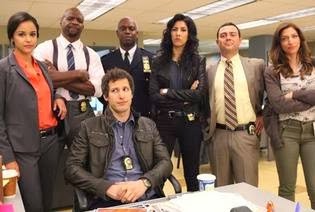 We've got the dad who is having an affair, a son who is doing drugs, a daughter who is pregnant... you get the picture. I didn't find the drama as compelling as it should be for a situation like this. Maybe because it is on network tv, they can't really push the boundaries. I grew up with Marvel comics so I thought this one might be good, but after watching the pilot, I was very disappointed. It seems they are just using the "Marvel" name to try to draw people in, but the show itself does not have much going on with super heroes. I didn't find the first episode to be very engaging so we will have to take a pass on this one. This was another drama that had a lot of promotion behind it. I tuned in a bit for the first episode, but it did not grab my attention enough to stay with it or tune in for the next episode. Finally we have another family comedy with The Goldbergs. This one follows a dysfunctional family and takes place in the 80s. I had high hopes for this one given the cast, but overall it did not impress. I might tune in for another episode if nothing else is on, but so far, it does not make the hit list. What shows are you watching this fall? Leave your comments below.